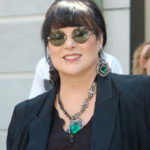 Ann Wilson is an American musician, best known as the lead singer and songwriter of the hard rock band Heart. Wilson was listed as one of the “Top Heavy Metal Vocalists of All Time” by Hit Parader magazine in 2006. Wilson has a dramatic soprano vocal range. "People can’t just listen to the music and have their own imagination and take them where they wanna go." "I guess we decided to make a new record 3 years ago when Nancy was done scoring for Almost Famous."